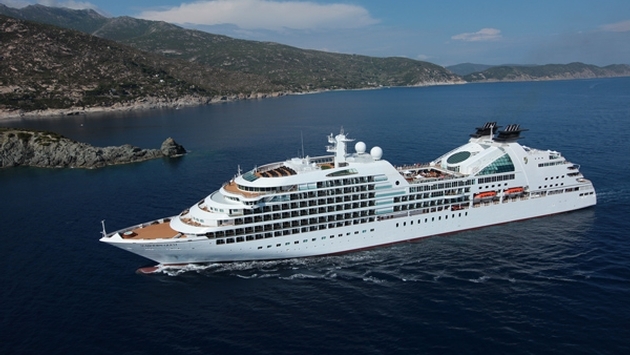 Seabourn, the luxury cruise line, signed a contract in January to build a fourth Odyssey-class ship similar to the Seabourn Odyssey, Seabourn Soujourn and Seabourn Quest (pictured). 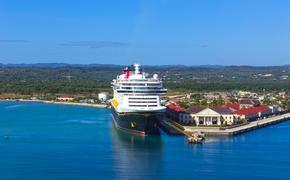 Those ships each carry roughly 450 passengers, but the new ship will have an extra deck enabling it to have a capacity of just over 600 passengers. Now it appears the new Seabourn ship, being built in Genoa by Fincantieri S.p.A., with be even more elaborate than its sister vessels. The cruise line has now contracted with Adam Tihany, the famed hospitality designer, to create brand new indoor and outdoor guest areas for its new ship, which is being built in Italy and is set to launch in 2016. Tihany will create a new design for the entire vessel, including multiple dining venues; the Spa at Seabourn; showrooms, casino and lounges; outdoor deck areas; and the signature Seabourn Square multi-purpose lounge. Tihany, currently art director of the Culinary Institute of America, sits on the advisory board of the New York School of Interior Design and the Holon Design Museum. He holds an honorary doctorate from the New York School of Interior Design and has been inducted into the Interior Design Hall of Fame. Tihany is famed for his high-end restaurant projects for celebrity chefs, including Thomas Keller, Daniel Boulud, Jean Georges Vongerichten, Charlie Palmer, Heston Blumenthal, Paul Bocuse and Wolfgang Puck. He also has designed luxury hotel projects worldwide, such as South Africa's One & Only Cape Town resort, Mandarin Oriental Las Vegas, King David Hotel in Jerusalem, The Oberoi Hotel in New Delhi, The Beverly Hills Hotel, The Breakers in Palm Beach and Hotel Cipriani in Venice. The new ship, as yet unnamed, continues the expansion of Seabourn’s fleet, which began in 2009 with the launch of Seabourn Odyssey, followed by Seabourn Sojourn (2010) and Seabourn Quest (2011). At the same time, Seabourn sold its three other ships to Windstar Cruises, which will take delivery of them starting in May this year.